SO ! I changed font hinting to light (default in kubuntu seems to be medium) and it seems to have solved bugs. Anyway, "ubuntu font" management by KDE seems to be strange, and firefox 4 font rendering is worse (imho) with light hinting (but maybe because of unselected "system default" parameter in fonts kcm). I forgot to say that this issue is maybe not typically ubuntu-font related, since font rendering is doubious at this time in kubuntu. 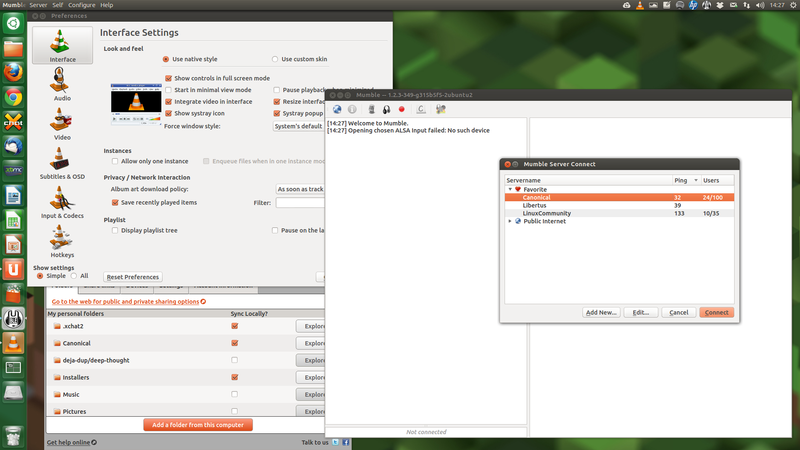 There are definitely issues with both Ubuntu and Ubuntu Light installed. "Ubuntu", with the weights Light, Medium, Regular, and Bold. Bold). The Ubuntu Light Bold is of course Medium. have more thoughts shortly, I think! Any font experts willing to comment? expected it to actually work. and applications. As a user I'd definitely prefer the latter. > and applications. As a user I'd definitely prefer the latter. A temporary workaround for KDE seems to be setting user fonts to "rgb true hintslight true" (->~/.fonts.conf) and "Ubuntu medium 9", from Kubuntu systemsettings. I'm really not technically involved, so I damn do not know why, but it works. Ubuntu medium font is well displayed in plasma workspace (quite bold) and in firefox (not bold). Isn't it a duplicate of bug 741862 (Default interface font is too bold in all Qt4 applications)? The current situation is that 'ttf-ubuntu-font-family' isn't the broken part, but the easiest way to effect a fix before release if we can't fix FontConfig/Qt before release (which is increasing in likelihood) is to do it via the 'ttf-ubuntu-font-family' package. This can be done by not shipping the Medium and Medium Italic weights in Ubuntu 11.04 ('rm /usr/share/fonts/truetype/ubuntu-font-family/Ubuntu-M*.ttf'). The /actual/ issue is likely in FontConfig, which appears to be paying more credence to the older 'Bold' flag than the user numerical weight. it's a stand-alone family (like the Light) rather than being the Light-Bold. > it's a stand-alone family (like the Light) rather than being the Light-Bold. really only in FontConfig and they are small, consider an SRU for 11.04. Thanks for all the debugging! Mark: to clarify; "drop this" == "drop the individual Medium .ttfs that are currently knocking the barrel over" ? > are currently knocking the barrel over" ? Yes. Perhaps we can keep Light without the Medium ("Light Bold") weight? This does not really solve the issue (in ttf-ubuntu-font-family_0.71.2-0ubuntu3_all.deb). In LibreOffice I can still make the "Ubuntu Light" font bold - and the result is ugly. Kerning seems not to work at all so that "Ubuntu Light Bold" becomes even wider than "Ubuntu Bold". Attaching PDF with the issue. auto-manufactured one, which would indeed be ugly. stacks to make the proper fonts work properly? It's a misunderstanding to see this as a QT stack problem. The same issue is present under GNOME. It's pure coincidence that the other bugs were made a duplicate of this one. I am using GNOME, the examples that I posted in my original bug report were also from GNOME. I don't think this has very much to do with Qt, although the title of this bug suggests otherwise. I am also checking the font on a computer with Debian Squeeze under GNOME, the results are exactly the same as unter Natty. No, there are two different bugs. confused and uses that when it should not. what you're seeing, I think. Both Gtk and Qt would do that. Erdal: I think this bug report (and the dups) note that the root-cause in the lower levels. The mentioning of "Qt" in the title is mainly there to increase the chance of people finding it. again, not actually a bug in the fonts, but in the Linux font stack. It used to work well (I’m specifically referring to the symptom of Qt applications defaulting to the medium style, quite visible when running unity-2d), but with today’s update it broke again. I upgraded ttf-ubuntu-font-family from 0.71.2-0ubuntu3+phasedbeta1~natty to 0.71.2-0ubuntu5+phasedbeta3~natty (from the private PPA) and noticed the regression instantly. osomon: for Ubuntu 11.04 we couldn't find a solution, so the workaround was to drop 'Medium' and 'Medium Italic' (just) from the Ubuntu 11.04 release. The complete font family is there on http://font.ubuntu.com/ in the Oneiric archive, beta PPA and internal Canonical walled-garden PPA. Owing to an oversight, that upload (also containing a newer-beta of Mono) never made it to the 'natty' pocket of the Canonical PPA; this was remedied yesterday. Truetype/Opentype files have various sets of metadata, not all of which can be directly queried/matched via FontConfig. "the unique name used with local() specifies a single font, not an entire font family. Defined in terms of OpenType font data, the Postscript name is found in the font's name table, in the name record with nameID = 6 (see [OPENTYPE] for more details). The Postscript name is the commonly used key for all fonts on OSX and for Postscript CFF fonts under Windows. The full font name (nameID = 4) is used as a unique key for fonts with TrueType glyphs on Windows." but these do not appear to have been replied. A request is made during the conversation to file a bug and attach the files. I also posted an RFD patch to cache and match on the postscript name. James: do you have a link to your version of the patch too? James, feel free to fork fontconfig. I encourage that. If and when distros pick up your tree, I'll hand you the fdo tree. That's what I did to Keith afterall. Don't sound apologetic! Note that any patch to add this has to address the interaction between searching by postscript name and family name. Just adding the postscript name to the pattern and putting it in a random place in the matcher is easy. Making sense of how this feature is to be used is something I haven't seen anyone answering so far. This bug is still present in Kubuntu 12.04. All Qt4 apps uses a bold font-weight instead of "Regular" one. I filed this as a new bug some time ago: bug 918577. Lucazade: it's not really practical to remove bold as it's used widely. Is it also solved if /instead/ you remove either just the Lights (-L*) or the Mediums (-M*). I know it is not ideal, we need a better and proper fix for this.. While I was playing with fonts I noticed also that plasma panel and menu don't follow hinting at all.. fonts are really pixelated. I believe the appearance is already greatly improved in Kubuntu 12.04 Beta-1. This is still present in Kubuntu 12.04 beta1. My font configuration: Use anti-aliasing, Use sub-pixel rendering: RGB, hinting style: medium. In Quantal, ubuntu-font-family-sources *will* ship the Medium version of the font (see http://pad.lv/1048600). Can anybody please re-open the ubuntu-font-family-sources task and nominate/target all tasks to quantal? Have added tasks to track getting this fixed in quantal when the medium fonts land. See comment #39.
with the latest update all the fonts in quantal kde are bold.. is this going to be fixed? Because of that both Ubuntu Regular and Medium fall into the same Qt weight - QFont::Normal. Since that operation loses the granularity, there's probably no easy way to distinguish between Normal and Medium later in the process. I myself would lean towards solution a), but neither that or b) really fixes anything - if there's duplicates, it becomes non-deterministic in which font will be selected (the last one added? a random one?). Solution c) seems to be the most complete, but then also quite intrusive. We'd have to only leave the one whose fontconfig weight is closest to the respective weight. So from each of the getFCWeight ranges only one font would be selected, closest to what fontconfig says that weight should be. Apparently these are just integers. Maybe it's possible to map FC_WEIGHT_MEDIUM to an integer like 60 or 65, without using the QFont::Weight enum? "…association of other weights within a family to the numerical weight values is intended only to preserve the ordering of darkness within that family." and which provides the recommended remapping algorithm in text form. This initially maps a Medium back to 500 (if available) and a Bold to 700 (if available). and uses other logic to fill outwards from those reference points. Given QML<->CSS and the significance of familiarity with HTML/CSS (and exposure/testing) that it has likely had, it might be reasonable to transpose/implement this algorithm too. (Rule of thumb would seem to be ~0.125 of TTF value, or ~0.63 of FC value for the two important weights Regular and Medium). The idea way might be to have would be perhaps to have Qt's getFCWeight() reverse the bucket logic of FcFreeTypeQueryFace() (which returns discreet enums, not an integer, nor the raw 'os2->usWeightClass' directly), and then apply the CSS algorithm to the untransformed result. This should be fairly robust. Proposed patch for discussion; this shifts the buckets to avoid ABI/API break. Saviq would you be able to test this and see what happens? (Chatting to Saviq in IRC). We've tracked down some more aggravating factors. Main one being the Qt requests Medium by default(!) (in spite of having no internal Enum/handling for Medium). Somewhat larger patch idea (blind, since I haven't rebuilt Qt), with substantially more comments. This includes both the ideal codepaths for the future, and minimal solutions separated by #if/#else constructs. The above patch alone does not help as the database isn't used directly. Instead, requests are forwarded to Fontconfig, which is a good thing. It seems that the "medium" one is the least wrong, but changes behaviour for DemiBold for fonts that only have Regular and Bold. I'm not sure why "medium+demibold/2" for DemiBold selects a font heavier than Bold. Will investigate as fixing that could yield best results with smallest behaviour change. Found the issue - for medium+demibold/2 it comes back with "embolden: true", which seems to be broken for the Exo font. You guys rock. Thank you for chasing this! to get the Medium fonts back, and see how that affects Qt apps. To anyone concerned: please test and report back with success or failure stories. and I've tried to raise it with the original backend authors (Lars Knoll and Jiang Jiang) over on Freenode #qt-labs. It would be really good to get feedback. The change is intended to be transparent to applications (no visible ABI/API) change, but it would still be good to know this viewed as a step along the path to properly fixing's Qt X11/Fontconfig backend. Tested qt from Saviqs ppa and looks good. See attached screenshots. Showing Mumble, VLC and U1 client. Previous screenshot was "before". This one is "after". Akira, can you update this bug with your latest plans? * the change in FcFreeTypeQueryFace(): in case any fonts doesn't have TT_NAME_ID_PS_NAME, generate PS-compliant name from the family name as the printing libraries do. * any function to guess the language from CMap if any. * a special comparison mode or attribute to ignore the suffix string like CMap. or should it be done with the above idea at pre-stage? There should be more we need to think about, but just to share current idea. Akira, thanks for the update! One thought I'd like to add, regarding the synthesis of missing data; is that when it comes to /debugging/ font-related issue, a large percentage of the (invalid) issues relate to sythesis and substitution occuring in FC or the toolkits. It is often the difficulty in seeing past where the sythesis (or simplification) of data is occuring, that hampers the debugging. Thus, it might arguably be better to cleanly /fail/ if a request is made for a TT_ attribute that doesn't exist (such as TT_NAME_ID_PS_NAME), than to return something that wasn't or isn't there. Perhaps the printing issue highlighted (where synthesis of missing attributes is needed) could be covered with a helper function of something like ReturnUniqueNameAsPostscript(). Such a function() (or ENUM) could then return the TT_NAME_ID_PS_NAME if it exists, or make something up. But in both cases, without obscuring the ability of an application /that cares/ to uniquely query or get the raw data. Does that make sense? I'm happy to expand on the above if not. Well, I know there are some request of additional APIs like FcFontMatch and FcFontSort without the substitution. we should deal with it as a separate bug or RFE IMHO. the link step for QtWebkit to complete before timed out by the builders. There is a workaround in the font in quantal now (bug 1054204) that enables Ubuntu Medium font, but it is not the original intent of the font. The bugs have been workarounded in other fonts well, but the real bugs in fontconfig and libreoffice should also get fixed, so that the original configuration of the Ubuntu Medium font could be restored. The original setting in the font is related to remapping to the preferred family, so when eg. one would bold Ubuntu Light one would get Ubuntu Medium. The attachment "src_gui_text_qfontdatabase_x11.cpp.diff" of this bug report has been identified as being a patch. The ubuntu-reviewers team has been subscribed to the bug report so that they can review the patch. In the event that this is in fact not a patch you can resolve this situation by removing the tag 'patch' from the bug report and editing the attachment so that it is not flagged as a patch. Additionally, if you are member of the ubuntu-reviewers team please also unsubscribe the team from this bug report. Where do the Ubuntu fonts fall in that scale? Also note that any nontrivial patch there will affect all fonts in rendered documents opening us to a lot of havoc, if our vendor patch makes documents being rendered different (different font weight might change pagebreaks, thus numbers of pages, manual (hardcoded) references to pages or images -- esp. things like "last page") on Ubuntu than everywhere else (Windows, OSX). Even if we would do it right, and everyone else would do it work -- the users likely would not care, if it destroys their crossplatform document fidelity (with the same major -- even minor). Bug 972279 "Konsole displays bold text with normal weight" might be related to this. This repo contains the initial patch to propose a fix of this issue. I didn't implement anything about CMap this time. because dealing with it in fontconfig may be overkill. applications who wants to use this feature should knows about it well. they could set the lang into FcPattern instead. Please test. if there are no problems or concerns, I'll merge it into master. I'll merge this change into master shortly if there are no objections. 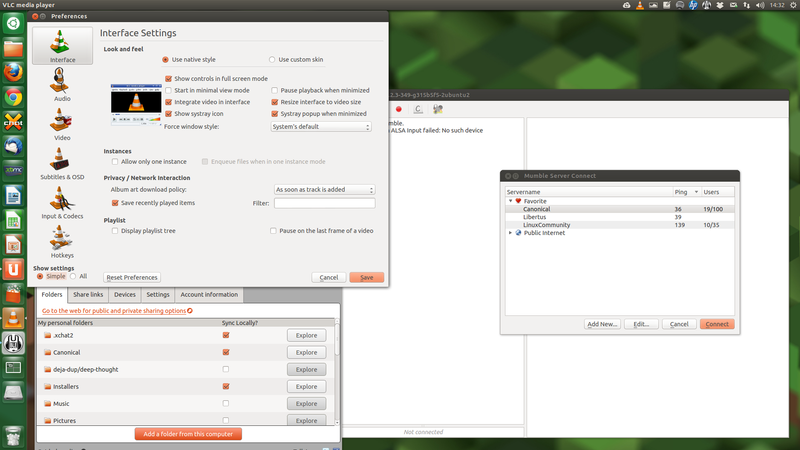 I'm using Ubuntu font family in Debian Sid (Xfce) and I still get this bug when using VLC (that uses Qt). I'm not a developer, nor a programmer, but after reading the whole report and found where the bug lies, I've managed to fix it copying the method used for the Delicious font in conf.avail/80-delicious.conf and adapting it for the Ubuntu font. I attached the file to put in /etc/fonts/conf.d/ or in ~/.config/fontconfig/conf.d/ but the code for Ubuntu Medium Italic doesn't work (when Regular Italic is used for interface, Medium Italic is still used in VLC/Qt). Probably it's very easy to someone more experienced than me to fix this patch for correct Medium Italic handling. After that I have to rebuild the font cache as root (sudo) and as user, or it doesn't work. Is a possible solution to bring this file (properly fixed) with ubuntu font deb package? Ok, now this configuration works for 'Medium Italic' too (it was easier than I thought). Probably this is not a "full range" solution, but it surely fixed the problem in my case. This bug is still present in Ubuntu or Saucy adopted the patches in this thread to fix it? In Debian it's still present and that means probably that upstream code hasn't merged those patches. The font developer team could fix the font hard-coded 'family', 'style' and 'weight' properties easily to fix those bugs.